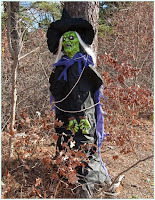 In the previous blog post, we discussed the scary halloween decoration ideas for indoors. Let's move outside now. 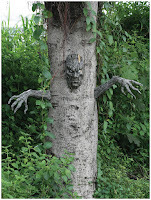 Here, I'm going to share with you 5 amazingly spooky halloween decoration ideas for outdoors. You might be tarantula lover or any of your guests might be, but seeing gigantic spiders crawling up on the house would definitely give anyone chills. This is an animated long hairy spider Long Hair whose eyes light-up. 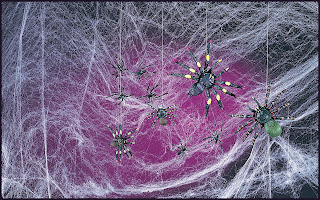 The dimensions of the spider is 60" x 5" x 10". It requires 3 AG13 batteries. You can find more options in size and creepiness here. The spider web is approximately 75 square feet. 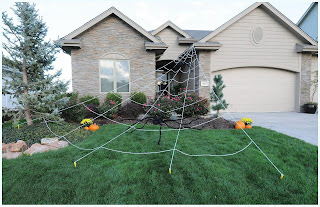 This decoration includes a 23' x 18' giant spider web. Package also includes one gutter bracket and five ground stakes. The dead are back to haunt. 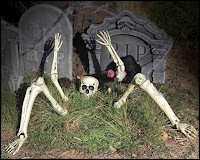 The graveyard is one of the most popular spooky halloween decoration idea of all times and the kind of variations you can do is only limited to your own imagination. 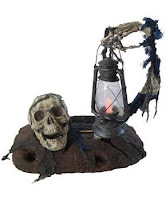 This Graveyard Kit has all you need to create a spooky graveyard scene right in your own yard. 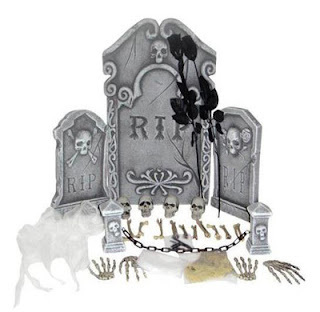 31 Piece Graveyard Kit includes: 1 - 21" Tombstone, 2 - 12" Tombstones, 4 - Skulls, 4 - Skeleton Hands, 11 - Bones, 2 - Black Roses, 2 - Skull Posts with 1-Chain Link, 1 - White Cloth, 1 - Bag of Spider Webbing, 1 - Bag of Moss, 1 - Bag of Stands. 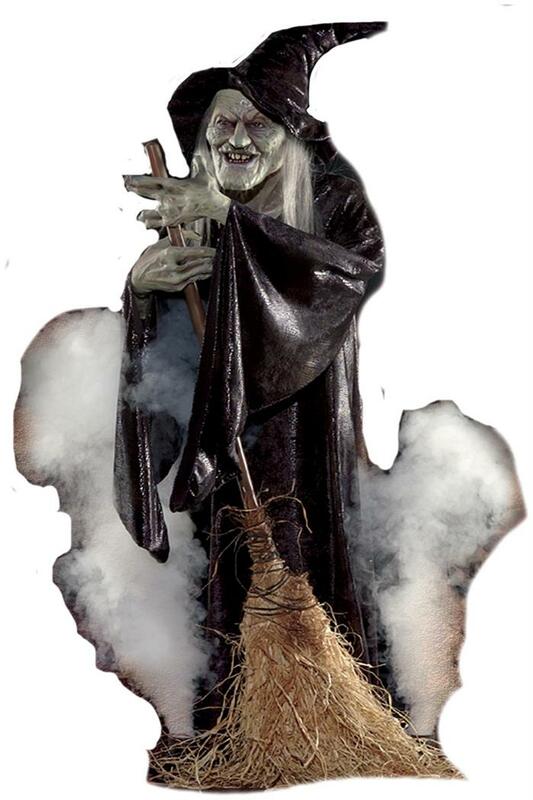 What's the fun of Halloween if it has no evil spell to cast? 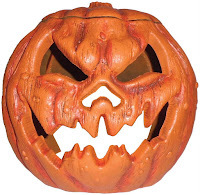 That white as ghost headed Jack with carved pumpkin in sneering smiles, definitely will leave everyone quaking in their boots. 5. When trees give you the heebie-jeebies. Trees can be spooky. Try different props to bring out the creepiness. Do share in comments below which one you liked the most.